January 2018, THE GRANITA GROUP’S NEW RATE. On January 1st, 2018, the new RATE will be available. We present the new Price 2018 PSP for our customers. Now available as PDF download, it will come into force on January 1st, 2018. The Rate collects all our current portfolio and MULTIPLES news that will surely be of your interest. You can download the rate from the download area or with a simple click here. We hope you like our news. Don’t hesitate to contact us to request a paper copy. 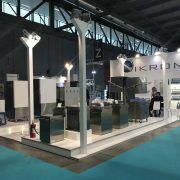 MORE THAN 150,000 VISITORS ARRIVE AT THE HOST FAIR in MILAN. One more edition, it is shown that HOST is the preferred forum for the leading companies in the market to present the news, as well as being a unique market for international quality business. 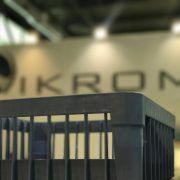 It represented a positive balance for Nikrom, thank you for your visits. Until the next edition! Sure, we’ll be back! The GRANITA company, from Gandía, celebrated this weekend the 25th anniversary of 3 of its employees: Felip Lloret, Juani Garrido and Esteban Mora, and also of the delegation of the Canary Islands, TECNYHOSTEL, with Andrés Cabrera at the helm. 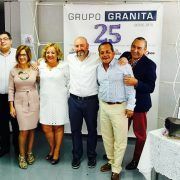 GRANITA GROUP, based in Gandía (Valencia) dedicated to the MANUFACTURE and IMPORTATION of machinery for the HORECA sector, celebrates the 25 years of work of 4 of its employees. To celebrate this anniversary, the company organized on Friday, April 21, a welcome dinner for its GRAN CANARIO TEAM, TECNYHOSTEL CANARIAS, which lasted until late at night. The celebration continued the following day with a tribute to the employees at the company headquarters, where Felip, Juani, Esteban and Andres received from the Manager of the company, Amparo Lloret, the professional and personal recognition their deserved. During the event there were speeches in which they remembered the beginnings of Granita, the beginnings of the honored workers and to D. RAFAEL OLASO BALBASTRE, founder of GRANITA. Here it was felt that his legacy is still alive. The honorees also expressed their gratitude to the company and acknowledged the work and commitment of Amparo LLoret at the head of Granita. All the guests received a detail of the 25 years. After the ceremony, we proceeded with the toast of honor and continued the celebration with a meal in a well-known restaurant on the beach of Gandia. The company is convinced that its best asset is the human team that forms it, that without it, nothing would be possible. Despite continuing to be a family business, GRANITA GROUP has changed a lot since its inception. 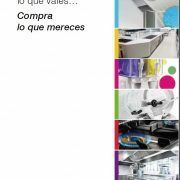 Granita was founded in 1973, and opened its doors in small offices in the center of Gandía, as an importer of coffee machines. With his good work he got the company to be among the leaders in his sector. Today, the GRANITA GROUP has two factories and one importer, what confers an international presence to the business. 4 decades later, GRANITA, together with NIKROM Y ZINCO, continues to be a leading company.